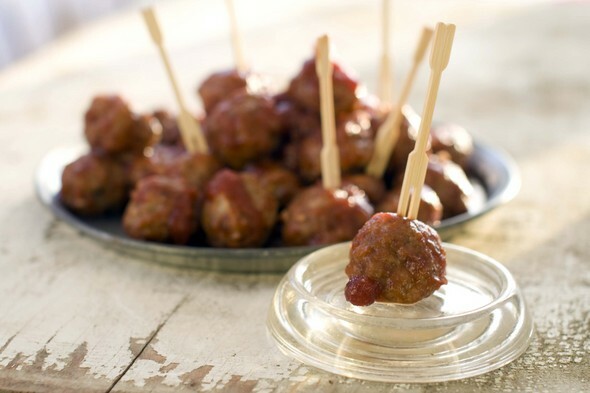 Posted on Mon, Dec 12, 2011 : 12:50 p.m.
Meatballs are a great holiday entertaining food. They are homey, well-loved and easy to do ahead of time. But let's face it, they've been done. They've been done with grape jelly and ketchup. They've been done with beer and barbecue sauce. And they've been done with creamy gravies. So how about something a little different? Something that adds some zing to the appetizer offerings. This recipe has all that, plus a do-ahead sensibility. We've given directions for making the meatballs on the stove, but if you prefer you can transfer them to a slow cooker to keep them warm for your party. You also can keep them warm in a Dutch oven over a stovetop burner set on low.